From now on you can download the firmware v2.1 in the support area . An attentive customer from Belgium has pointed out problems with the activation of the Night Operation in conjunction with a 3-way switch and a Futaba T14SG transmitter. In the detailed technical analysis, we found that the T14SG on the 3-way switches arbitrarily and for a few periods of the PWM outputs “intermediate values”. These values ​​are never approached by the switch. An additional filter in our firmware now ensures that the Light Driver 5.0 ironed out this ugliness. Thanks to the customer’s detailed feedback, we were able to quickly identify the problem and come up with a solution. 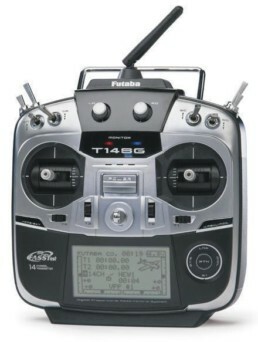 We recommend all customers to switch to the new firmware v2.1 with Futaba transmitter.